Tired of Chunky Sneakers? Try the Hiking Sneaker. “Nike is betting that the whole world, not just high-fashion circles, are ready for the Great Chunkening of their shoes,” writes GQ in its feature on Nike’s new Air Max 720. The hiking sneaker. 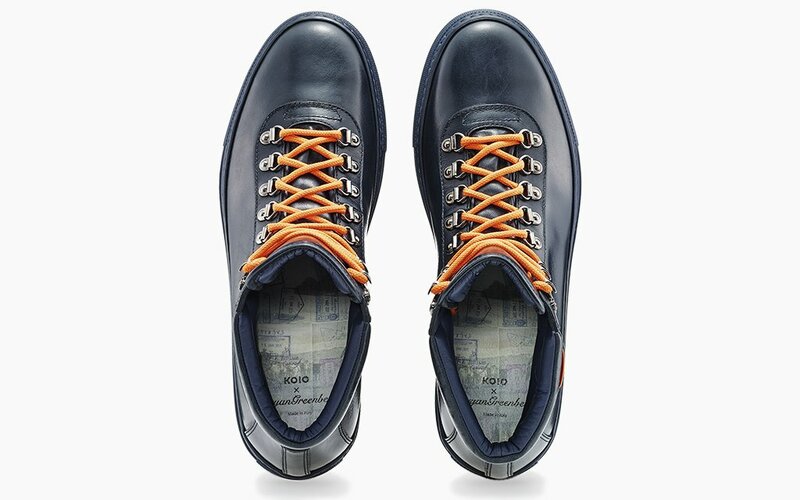 Our first entrant into the freshman class: the limited-edition Koio x Bryan Greenberg shoe, just released this week. 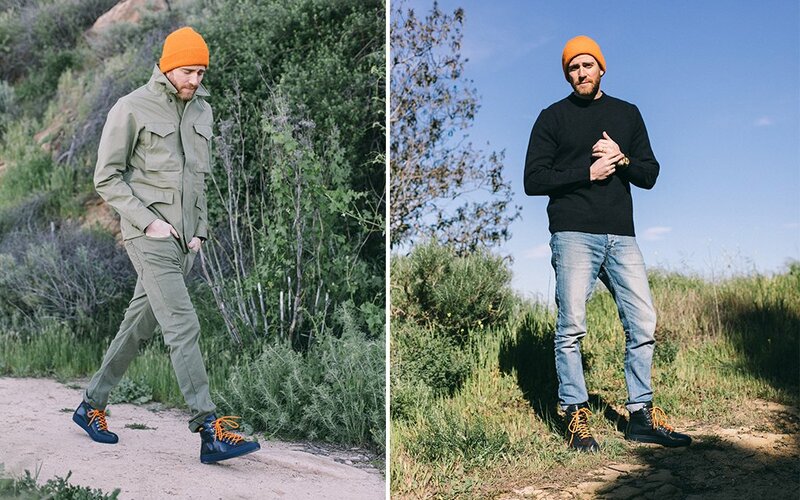 To be clear, the “hiking sneaker” we’re talking about is not a “sneaker you wear to go hiking.” For the last 10 years the entire menswear machine has latched onto all things heritage, attempting to pack outdoor, workwear and old-world American “inspiration” into garments and pass them off as just as tough as the real thing. The hiking sneaker, and Koio’s introductory example, bucks that trend, taking the mountaineering styling cues but not masquerading as a climber. For example, the metal eyelets are ripped straight from a pair of Everest boots, but it’s pure aesthetic, and thanks to the high-top design — a take on Koio’s Primo silhouette — they don’t look cheesy. 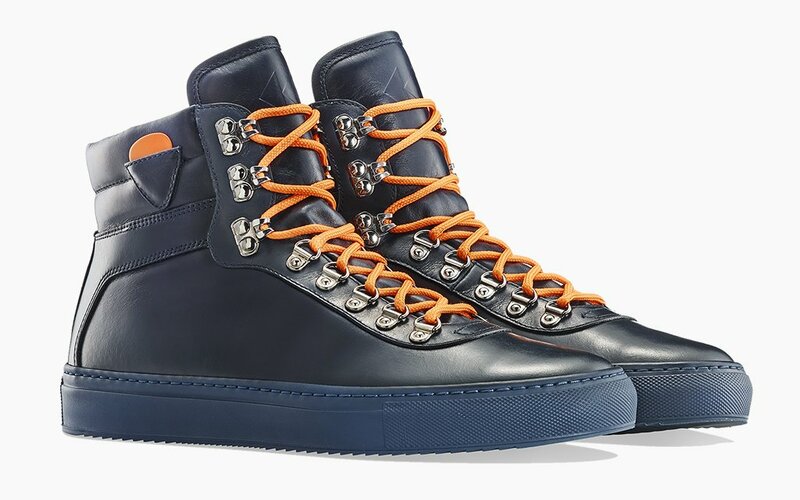 In fact, the silver paired with “basketball orange” laces and the deep navy Vitello calf leather is the most unexpectedly stylish color scheme we’ve seen this spring. And yes, that’s a guitar-pick holder on the collar. Go ahead and keep the complimentary orange pick in there even if you don’t play. It rounds out the design. Ah, but who is this mysterious Bryan Greenberg collaborator? You may know him as a musician, but probably know him as the actor from How to Make It in America or One Tree Hill (personally, I’m in the latter camp, being a staunch defender of teen dramas that premiered in 2003, including The O.C.). In other words, this shoe is also the product of the most unexpected collaboration this spring. Pick this up before it sells out, then keep an eye out for the hiking sneaker. This is the bellwether.